We have a team of expert quality analysts that stringently checks each and every stage for ensuring quality products at buyer's end. We have captured the market with the wide array of products; we make available the same from Udaipur(India). Lemon grass also called Cochin Grass or Malabar Grass, is native to India and tropical Asia. It is grown and found in different parts of India and is used in perfumes business and also for medicinal purposes. Lemon is also used as a pesticide and preservative. Research shows that lemon grass has anti-fungal properties. Because of Lemon Grass wide spread use in different industries, Indian farmers have started cultivating it in huge amount. In the coming years, you can surmise that farmers involved in Pharmaceutical and Perfumes industry, Lemon Grass plantation will be preferred because of its widespread demand. In the present scenario, Lemon grass is being grown in huge quantity in different parts of the nation and shall continue the same way. For industrial Use, cymboogon flexuosus nees species of Lemon grass is in demand both nationally and internationally. This species of Lemon Grass is also preferred from an Agriculture point of view. Citral A (46.60%), Citral B (27.7%), Flerensol (12.8%), Farnesol (3%), Borinyol (1.9%), Triphenoil Acitate (0.90%), α-terpineol (2.25%), Terpinine (0.5%), Beta Terpineol (0.40%), geranial & Nerol, (1.5%). Lemon Grass grown in Central India, has 75% of citral in it, which is considered to be good for oil. This form of Lemon Grass, is the most popular and beneficial way to use in Industries. The oil is extracted from the leaves and stem of lemon grass plant. Lemon Grass oil is used in the making of soaps, and also in perfumes, scents, attar and incense sticks (agarbatti). Lemon Grass oil is also used as a medicinal herbs in the pharmaceutical industry. Lemon Grass oil is further processed into Aplha Ayonen and Beta ayonen. This Ayonen is used in a raw material in the production of Vitamin A. Lemon Grass oil has anti fungal and bacterial properties. Lemongrass oil revitalizes the body and relieves the symptoms of jetlag, clears headaches and helps to combat nervous exhaustion and stress-related conditions. It is a great overall tonic for the body and it boosts the parasympathetic nervous system, which is a boon when recovering from illness, as it also stimulates glandular secretions. It is useful with respiratory infections such as sore throats, laryngitis and fever and helps prevent spreading of infectious diseases. It is helpful with colitis, indigestion and gastro-enteritis. Lemongrass oil helps tone the muscles and tissue, relieves muscle pains by making the muscle more supple. It helps with correcting poor circulation and as an insect repellant. It helps to keep pets clean of fleas, ticks and lice. It also is used for clearing up oily skin and acne, as well as athlete's foot. It alleviates excessive perspiration. Lemon Grass oil is used to subside the smell of seafood, sauces and alcohol. It is used a flavor in Chinese and Thai Cuisine. Dry Lemon grass leaves are widely used in Herbal tea, Lemon tea and various other types and varieties of Herbal tea. Herbal Tea producing companies use Lemon Grass leaves in great quantity. In India, Lemon grass leaves (especially grown in Madhya Pradesh) are exported to major Herbal Tea Companies based in England and France. Apart from the above mentioned uses, Lemon Grass oil has various other uses. It is used in Kadaa (Concentrated liquid) to recover from illness. Lemon grass oil gives a cooling effect which is extremely helpful in curing cold and other respiratory problems. When combined with Black Pepper in the form of Concentrated liquid (Kadaa) it helps in kidney related diseases. It is also used for reliving muscles pains and joint pain. Lemon grass leaves when made in to a paste has anti fungal qualities and therefore, is helpful in treating Ringworm. Lemon Grass also helps in improving digestion. It is also helpful for the urinary related problem and reduces gastric problems. 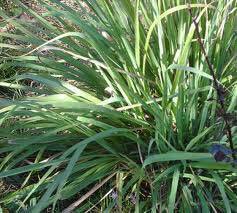 As seen above, Lemon grass has widespread utility not only for perfumes industry but also for Pharmaceutical medical purposes. Because of it huge demand worldwide, there great possibilities of Lemon Grass becoming a great Cash product in agriculture in India. Presently, the market for Lemon Grass is at a good level. There are a lot of traders based in Mumbai, Delhi, Ahmedabad etc which are into selling and marketing the lemon grass oil in great amounts. There is great scope and demand for Lemon Grass in other countries too. Therefore, apart from Lemon Grass production of Citral can also done. Because of widespread use of it, in different industries, there is a great possibility of increase in its demand both nationally and internationally by Well- known and well established countries worldwide. Farmers can apply buy-back guarantee as a marketing tool/ strategy to increase it demand in the market. As you have seen above, Lemon Grass has a lot of utilities, one of them being low maintenance plant, .i.e. that once it is cultivated; there is no need to check back on it for the next 5yrs. The Lemon Grass plant is very sturdy and can take harsh weather conditions. It also doesn’t require too watering and is not eaten by wild animals/ cattle. Selling lemon grass product .i.e. oil & leaves is also fairly easy because of it great and enormous amount of uses. Because it is beneficial a lot of progressive farmers have chosen Lemon Grass farming over other agriculture products and this rate is only expected to increase in near future. Lemon Grass Species : Lemon Grass has quite a few species and the most popular ones are Pragati, Praman, Cauvery, Krishna R.L.L 16, GRL – 1 etc. The most popular species which is grown in Madhya Pradesh is S.K.P 25. This species grows upto 6ft tall and you can extract 1% oil out of the plant. This species of Lemon Grass has proved beneficial for Rajasthan also. Preparing the soil/ Tillage : Once it is cultivated, it can be yielded for the next 5years. The soil has to be ploughed well, so that it is aerated enough. Labour intensives & capital intensives ways of ploughing can be use . Manure/ Pesticides/ Fertilizers : Cow dung Manure or Composite Manure should be used in good amounts for Lemon Grass cultivation. While tilling/ preparing the soil for cultivation itself you should use the manure. Manure should be used 5 times in a year and spread around the roots of the plant for best results. On an average, use 10 tons per acre of Manure for Lemon Grass plantation. As far as chemical fertilizers are concerned, on an average you can use 60 quintals Nitrogen, 16 Quintals Phosphorous and 16 quintal Potassium. 1/3 portion of this mixture of Chemical fertilizers should be used while tilling/ preparing the soil and the remaining at the time of mowing. Seeding / Irrigation Process : If there isn’t any water problem, then Lemon Grass seeds can be sowed anytime throughout the year. Plantation Process : Use a small spade to dig about 5-6 centimeters deep and then plant the Lemon Grass sapling. If the hole is dug deep then there is possibility of the roots to rot. Before planting, make sure you remove dry leaves and waste roots from the sapling.. Put the sapling straight in to the hole. After planting cover the plant with mud and press it well and also water the plant or field after planting other sapling. Make sure there in no watering logging in the field or around the sapling. There has to be minimum difference of at least 30-45 centimeters between each sapling. For good yield makes you have a distance of at least, 40 by 40 centimeters between each sapling. Irrigation Process : Once if the irrigation is done properly, then lemon grass doesn’t require too much watering. But you have to make the soil has to have moisture content in it. During summer, irrigation/ watering should be done within 10 days and 15days in winter. This is result in best result of the plant. Weeding Process : Weeding is required only in the first plantation year, as weeds/ unwanted plants keep reducing with each year. Harvesting : Within the first 180days of plantation, the plant is ready for harvesting. Cut the plant 10-15cms from the ground level. The plant re-grows after the first harvest. Infact within 90-120 days it is ready the harvest. Like this, after every 90-120days from harvest the plant is ready for harvesting. Therefore, you at least get 2-3 harvests a year from Lemon grass plants. If the land is not very fertile and there is water shortage, even then you get 2harvest from this plant. Availability of Lemon Grass Oil : Lemon Grass oil is extracted from the leaves of the plant. Distillation process is used to extract oil. If the leaves are cut in smaller pieces then more oil can be extracted. The distillation process takes about 2-3hours. If every year, lemon grass is harvest twice then you can extract about 100litres of oil. This productivity increase with each coming year. The productivity of leaves and oil increase from 0.6 to 1%. 30,000 * Rs.3 per sapling (including transportation) = Rs.90,000/ expenditure. From 1 acer plantation, you can get Lemon Grass oil within first 6 months and you get about 50litres of oil and in the next 6months it goes up to 60litres. In the first year of planting Lemon Grass you get about 70litries of Lemon Grass Oil. 110litres * Rs.1000/- per liter = Rs.1,10,000/- income per harvest.